On this page are the charities I support and are close to my heart. 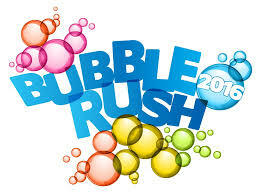 We are raising money for St Helena Hospice in Colchester by competing in this years Bubble Rush. If you would like to donate please click on the below link to the just giving page. Cancer Research UK is the world's leading charity dedicated to beating cancer through research. Thanks to our groundbreaking work more people are beating cancer than ever before. Find out how you can get involved and help us continue our life-saving work. "Finding supporters for a specialist charity like ours is tough. And it's even tougher in the current economic climate as the NHS and social services are making huge across-the-board cuts. Any support you are able to give us today will help ensure the care and support of people living with MND both now and in the future."